Plumbing emergencies happen in all shapes and sizes and all times of the day. That is why Always Affordable Plumbing offers emergency service 24 hours a day, 7 days a week and 365 days a year! Whether it is a busted pipe in the middle of winter or a non-functioning water heater, AAP has you covered. Rest assured our professional and friendly staff will arrive a timely manner to assist you and your family in a time of need. No matter the size of the blockage or clog, AAP will make sure to get the job done on time and properly! Our knowledgeable technicians use state-of-the-art equipment to get your plumbing system flowing properly again! 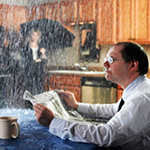 Call and schedule your service today…..
As a homeowner or business owner, the last thing you’ll want is a major plumbing problem (water, sewer or gas) that can cause extensive damage to your home our business. That’s where we come in. 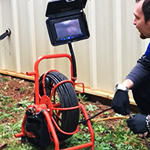 At Always Affordable Plumbing, we offer a full range of residential and commercial plumbing services utilizing state-of-the-art equipment. 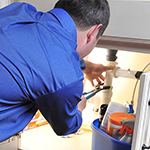 Our licensed, courteous, professional experts can provide solutions for all of your plumbing needs. There is no job too large or small and remember… the estimate is always free!!! Over time, Always Affordable Plumbing has seen many area homes with pipe failures costing our customers thousands of dollars in water damage. We find that pinhole leaks are common in galvanized steel piping, especially in older built homes in the Sacramento area. Increases in chemicals and chlorinates added to the water supply from municipal water treatment systems has sped up the erosion of galvanized and copper water lines from within. Chlorinates etch away at your homes piping causing pinhole leaks to occur in systems. We want to help you make the most educated decision in the best way to move forward. 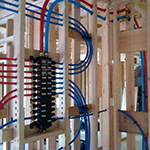 We offer many re-piping solutions. Call us today for your free consultation! Over the past few years Always Affordable Plumbing has seen many area homes with pipe failures costing our customers thousands of dollars worth of water damage. We have been finding that pinhole leaks are common in galvanized steel piping, especially in older built homes in the Sacramento area. Increases in chemicals and chlorinates added to the water supply from municipal water treatment systems has sped up the erosion of galvanized and copper water lines from within. Chlorinates etch away at your homes piping causing pinhole leaks to occur in systems. We want to help you make the most educated decision when it comes time to make a more final repair. Always Affordable Plumbing offers many re-piping solutions. Call us today at 916-970-0027 for your FREE Re-Pipe Consultation.